Do you love your bike? 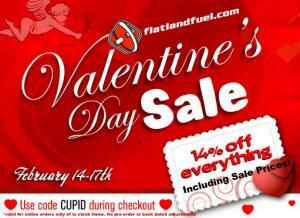 It's Valentine's day tomorrow and Flatlandfuel offers 14% discount for your beloved parts: "14% off everything! Including already discounted sale items! Use the coupon code "CUPID" during checkout. Sale is good from February 14th-February 17th."